MeisterSinger, the German watch brand renowned for its single hand watches, unveils three new models: Singular single-hand chronograph, NEOf (First MeisterSinger watch for ladies) and the special edition MeisterSinger N°6 Giambattista Rodella model. The single-hand chronograph combines the MeisterSinger ease of reading the time with the precision of a stop watch. The hairline hand for timing seconds and the small 30-minute display blend harmoniously with the classic MeisterSinger design. Replacing all other chronograph models, the new Singular model combines ease of reading the time with the precision of a stop watch. The hairline hand for timing seconds and the small 30-minute display blend harmoniously with the classic MeisterSinger design. The 43mm stainless steel case is 14.8mm deep and is water-resistant to five bar. A seven screw transparent sapphire glass back reveals a Valjoux 7750 automatic movement Protected by a domed sapphire crystal; redesigned dials come in a variety of colours and with larger Arabic numerals. There are four dial colours include a new black version with applied rose gold-plated Arabic numerals and toning black croco print strap. 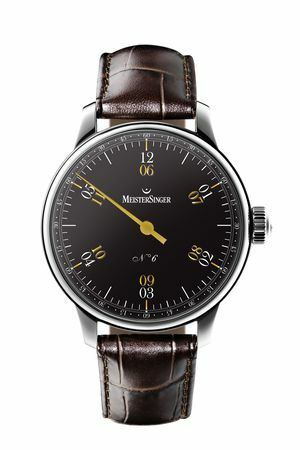 The first MeisterSinger, that is developed especially for the ladies is called NEOf. 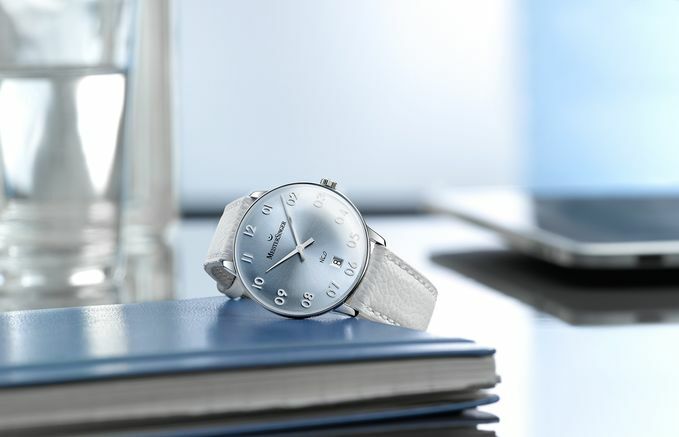 Its design with the rounded casing reminiscents of the watches of the 1940s and 1950s. Instead of overpowering ‘bling-bling’ there is a timeless and elegant simplicity. The NEOf is available in Sunburst Silver-White/Redgold, Sunburst Champagner, Sunburst Mauve or Sunburst Lightblue and comes with a a light leather strap from grained buffalo as standard. This year, MeisterSinger has been inspired by the Italian watchmaker Giambattista Rodella and designed a 6-hour-single-hand watch. The dial follows Rodella’s logic. Twelve and six o’clock are on the upper part of the dial, while three and nine are on the lower. 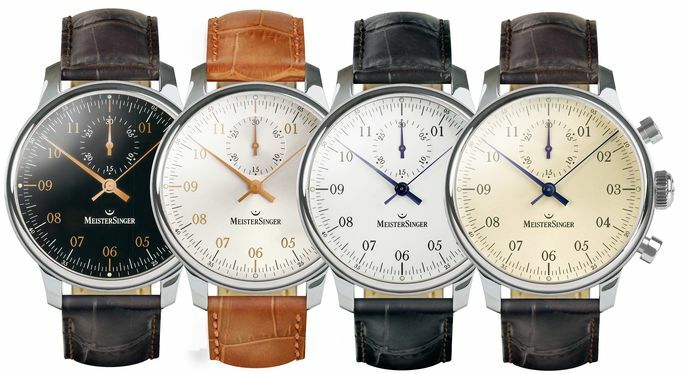 There are two different versions of the MeisterSinger N°6, of which a strictly limited 48 watches of each will be made available in Germany and in the Netherlands. Versions: White with black and gold digits and a gold-coloured hand; Black with white and gold digits and a gold hand.